This cylindrical beauty has its roots in an innovative product from 2008. Sony has developed a good-looking cylindrical Bluetooth speaker that should add some ambience to almost any space. 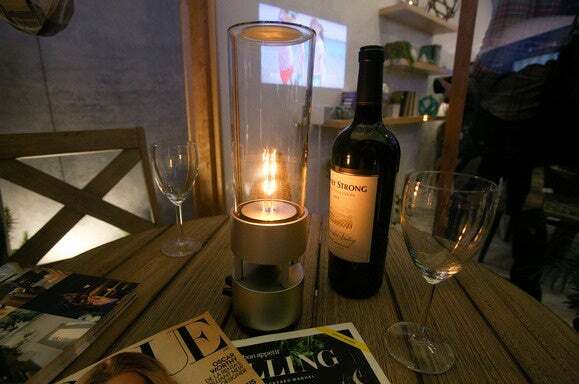 The Glass Speaker is about the same diameter and height as a wine bottle. At its top is a vibrating membrane that pumps sound waves downwards into the glass tube and out through an opening in the bottom. The sound travels out at equal amplitude in all directions. In the center of the tube, Sony has located a handful of LEDs, which enable the speaker to double as a mood light. The lights don’t interact with the music, but their brightness can be controlled through the speaker or a compatible smartphone app. Speaker volume is also controlled through the app. The speaker bears a resemblance to Sountina, which Sony put on sale in 2008. Sountina was taller, larger and packed more of a audible punch, able to send music at least 100 meters in all directions. But it was also very expensive: it cost about $10,000. Sony’s Sountina all-glass speaker displayed in the lobby of Sony’s headquarters in Tokyo on May 28, 2008. Sony hasn’t announced a price for the Glass Speaker but a representative at CES said it would be “very affordable.” It will be available in the spring in North America. The company also launched what it says is the world’s smallest Hi-Res Audio speaker. Hi-Res Audio is a family of high-definition audio formats and this speaker will cover a frequency range much wider than is typical. The “h.ear go” speaker looks light, but has a heft to it when picked up. That’s part of the engineering that allows it to produce a richer, better sound, Sony said. The sturdy construction helps avoid distortion. 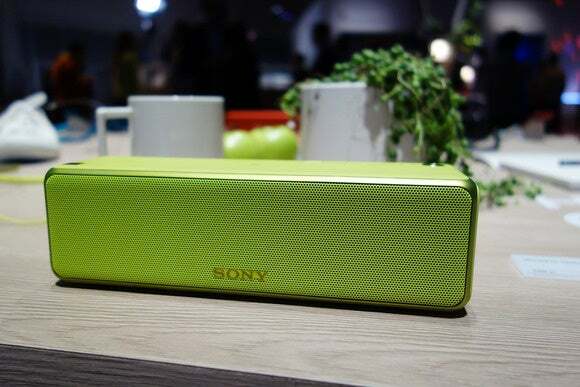 Sony’s Hi-Res speaker on display at CES on Jan. 6, 2016.